Located at the south-east end of the Arabian Peninsula, the United Arab Emirates is a federation composed of seven emirates: Abu Dhabi, Ajman, Dubai, Fujairah, Ras al-Khaimah, Sharjah, and Umm al-Quwain. While each emirate maintains its independence, the UAE is primarily governed by a Supreme Council of Rulers which is composed by a leader from each emirate. Presently, the President of the United Arab Emirates is Khalifa bin Zayed Al Nahyan, who became President after his father’s death. Since the UAE shares sea borders with Qatar and Iran, it had an economy that predominantly focused on fishing and pearls. The original building block of society was through the Bedouin tribe, who were nomadic and herded camels and farmed dates. In 1948, the Portuguese arrived, and the British soon followed, with the intent to protect trading links to India. The British established a garrison and developed a peace treaty with the Bani Yas tribal confederation, which was made up of the most powerful ruling families among the Bedouin tribes. 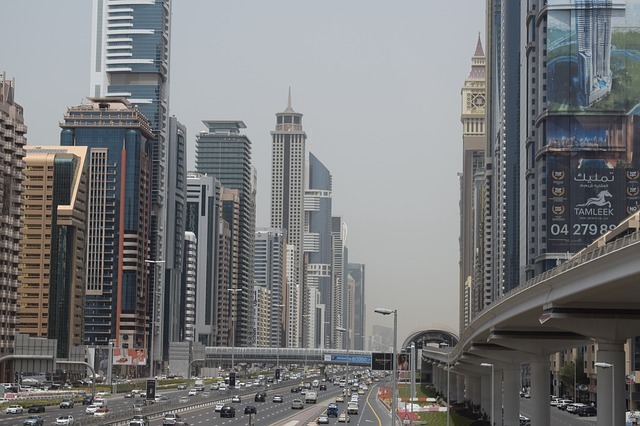 In 1968, the British decided to leave, and a new federation was formed: the United Arab Emirates, which became fully independent on December 2, 1971. Before the discovery of oil, the principal source of earnings for the country was through pearl farming, but in the 1930’s the Japanese developed a cultured pearl back home, creating many difficulties for the locals as they lost their largest export. However, since oil was discovered to be extremely abundant within the United Arab Emirates, society, economy and the way of life within the Emirates transformed and developed impressively. The oil industry has attracted numerous workers from all over the world and a number of expatriates who all contribute to the success of the country. Today, the United Arab Emirates holds the most diversified economy in the Middle East, as the government has invested billions of dollars in trade, tourism, banking and infrastructure to minimise a reliance on the oil sector. 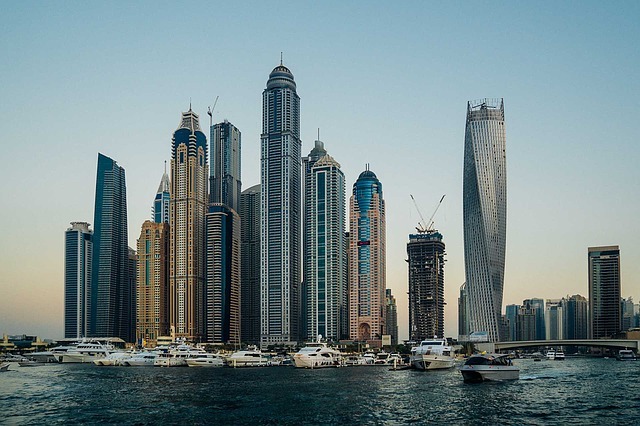 Due to this economic variety, the UAE is ranked as the 26th most diversified economy in the world, beating Norway, Hong Kong, Australia and Spain. The official currency of the UAE is the United Arab Emirates dirham, also known as AED, with unofficial acronyms including DH or Dhs. The total population of the UAE is at 9.2 million, with 1.4 million Emirati citizens and 7.8 million expatriates. Islam is the largest and official state religion of the UAE, with 76% of the total population being Muslim. Amongst Emirati citizens, about 85% are Sunni Muslim while Shi’a Muslims compose 15% of the total population. Arabic is the national language of the UAE, but as it was a British colony until the year 1971, English is widely spoken. Other languages that are spoken within the Emirates include Persian, Nepali, Hindi and Tagalog. Relocating to UAE or United Arab Emirates has always been a fascinating idea for many expats from all over the world. Aside from its, modern high-rise infrastructures and warm tropical climate, this country possesses an almost rare mixture of perfect desserts and kilometres of incredible coastlines. Its booming oil industry and major role in the trading business makes UAE a magnet for employment seekers. So if you're all set in starting a career in one of the largest economic hubs in the Middle East, here are a few guidelines to help you out. Many websites contain real estate postings in UAE. It will be helpful for you to browse these online portals so you can have an idea about the different price range and cities. Once you arrive, you can English newspapers and bulletin boards outside the properties that contain rental advertisements. But if you want your search to be faster, there are local realtors in UAE that you can hire. These professionals know the neighbourhoods very well and have a vast network in the housing market. Internet connection - €80 per month. One of the unfortunate situations that can happen to you when moving abroad is to find out that you left something behind or having a hard time tracking the status of your shipment. Many shipping and removal companies provide expert service to UAE where they will facilitate the whole moving process to ensure the safe delivery of your precious belongings. The average transit time to Port Jebel Ali, Dubai is 22-41 days, depending on your country of origin. Once the containers arrive, local customs officials will conduct an inspection of the cargos. For more information about UAE’s import regulations, click here. Before bringing your pet to UAE, make sure that you have it microchipped as a form of identification. You should also make sure that it has a rabies vaccination and original certificate at least 21 days before import. Other documents that you need secure are Vaccine Certificate and International Health Certificate. The seven emirates of UAE take pride in preserving their rich history and tradition. But aside from camels, deserts and Arabian nights, there are more that you will discover along with many expats who are searching for a brighter future in the Kingdom of United Arab Emirates. This oil-rich giant of the Middle East is undoubtedly one of the most famous expat destinations in the world. Aside from its economic success, the UAE is also known for offering nothing but the finest quality of life. From high-speed internet connection, reliable mobile service to thriving careers in sky-high modernised infrastructures, the Seven Emirates have it all. Almost 80% of the 9.2 million population of the United Arab Emirates are foreign born or citizens from another country. Aside from the Indians, Pakistanis, Sri Lankans and Bangladeshi that make up over half of its total inhabitants, expats will also rub shoulders with Asians, Europeans, Americans and Latin Americans. That being said, the UAE is indeed a highly diverse nation where people from all over the world choose to live in harmony to reach one common goal: success. For those who are about to set foot in the land where they can marvel at the infamous Arabian nights, here is some helpful info to get them started. Religion plays a great role on how foreign assignees can maintain a harmonious relationship with the locals of the UAE. Islam is the official religion of the people and is being practised by nearly 80% of its total population, but the society rarely interferes or makes any discrimination towards the religion of its other citizens. However, expats should be sensitive when it comes to their future Muslim colleagues, friends or neighbours considering that their culture, traditions, etiquettes and lifestyle are significantly influenced by their religion. Men and especially women should dress modestly while in the UAE. Be it on the streets or in the corporate world, expats should avoid wearing clothes that are too flashy or show too much skin. Refrain from asking personal questions or particularly about someone’s spouse because they don’t like their personal lives as a topic in a group conversation. Men can shake hands, but women should wait until the another person extends his hand. Most Muslim women do not touch even the hands of those who are not members of their family. Also, eat using the right hand and leave a bit of food on the plate as a sign of politeness. The UAE has a sub-tropical climate where the summers are hot and, winters are still warm. Its sandy geographical landscape is considered the top reason why the country experiences extreme heat and humidity. Expats should brace themselves for the summer months of June to September where the average daily temperature can reach a scorching 45⁰ C. Winter usually runs from October to March and is considered to be the peak season for tourists. During January, residents of the country experience the coolest temperature of the year which is ranges from 12⁰ C to 24⁰ C.
Rainfall and sandstorms are prevalent in the coastal regions which include cities such as Dubai and Abu Dhabi. In general, expats moving to the UAE should pack lightweight clothing that’ll keep them cool. It is also best to wear sunglasses, hats and sunscreen to avoid any physical illness due to overexposure to sun or heat. Long sleeves and boots are also must-haves to protect the body from the sandstorms. The UAE is a country that offers an extensive list of exciting activities that can cater to anyone’s idea of fun. Sports enthusiasts will find a haven in the Nad Al Sheba Club in Dubai where they can enjoy various types of water activities as well as participate in golf, tennis, cricket and rugby. There is also the world famous Yas Island, a man-made island in Abu Dhabi filled with water parks, shopping stores, Marina circuit and amusement activities for people of all ages. Nightlife in the UAE is far from boring. 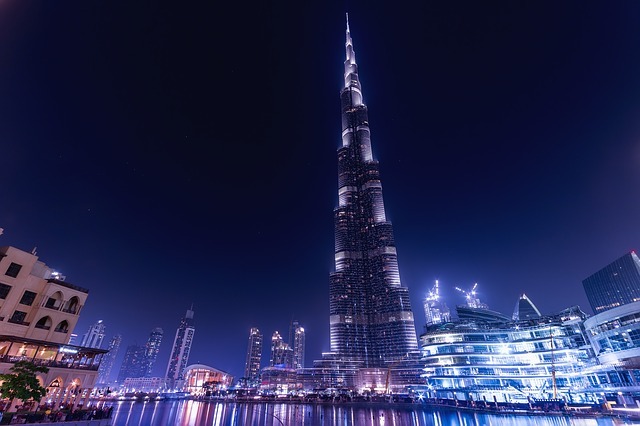 Expats who are searching for the hippest bars and night clubs should head to Dubai. Here, they will find the Club 360, a sophisticated party venue that overlooks the Arabian Gulf. There is also the Barasti which is the spot for those who don’t like to dress up too much. Barasti has two levels where the ground floor gives a relaxed vibe while the upper deck is for the party people who want to dance the night away. Bear in mind though that the UAE is serious when they say ‘drink responsibly’. Most areas have establishments such as hotels and bars that sell liquors, but buyers should drink it within the premise. Also, never drive under the influence of alcohol and refrain from drinking during the daylight or fasting hours of Ramadan as a sign of respect to the Muslim community.